Let's see if there's a connection between the words netzach נצח - eternity, minatzeach מנצח - a musical conductor, and nitzachon נצחון - victory. The root נצח appears frequently in the Tanach. According to the Even-Shoshan concordance, as a verb it either means "to oversee, to command", or the related "to lead (in music), to conduct", and as a noun it means either "strength, endurance" or "eternity" (there are also two verses where it means "blood" - others translate "juice".). Klein takes a different approach. He says that the original meaning of the verb is "to make brilliant" (related to an Aramaic root, "to shine") and the noun means "glory". The sense of "to shine, to be bright" is also found in Gesenius and BDB, based on cognates with other Semitic languages. The meaning of the verb "to conquer" (as found in the noun nitzachon) appears originally in Aramaic, and entered Hebrew in the post-biblical period. This article by the Hebrew Language Academy points out that "victory" could be either associated with "endurance in time" (eternity) or "power and strength". In this way, all three meanings are related to a concept of endurance, stability and strength. But what about those that say the root originally meant "to shine"? The Theological Dictionary of the Old Testament proposes the following path of development: from a) the basic meaning "to gleam", to b) "distinguish oneself" (found in Biblical Aramaic), to c) "to conquer", to d) "to be permanent", and then finally e) "to supervise, lead". (The entry discusses many additional theories as well). The primary notion of נצח is that of shining, and in fact of the purest and most dazzling brightness; this then passes over to the notion of shining over to outshining, and in fact both of uninterrupted continuance and of excellence and superiority (vid., Ithpa. Dan 6:4, and cf. Ch1 23:4 with Psa 9:13; Co1 15:54 with Isa 25:8). Thus, therefore, מנצּח is one who shows eminent ability in any department, and then it gains the general signification of master, director, chief overseer. At the head of the Psalms it is commonly understood of the direct of the Temple-music. 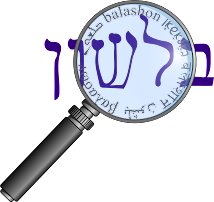 It is therefore interesting to note that unlike the synonym olam עולם, which also means "forever", but as we showed here derives from עלם - "hidden", netzach actually comes from a root emphasizing visibility.